In post-World War II Hollywood's somber setting, Frank Capra and his favorite Everyman Jimmy Stewart created this unusual holiday favorite. The tale of a decent guy who seems to give far more than he ever gets has been oft imitated but never equaled. Its simple message that a man who has friends is rich indeed is never saccharine, and its darker tone more than earns its happy ending. 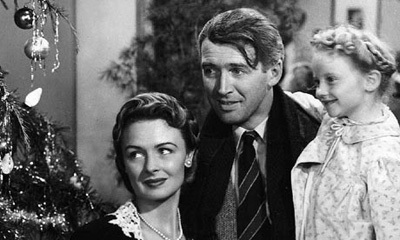 You may know all the lyrics to Buffalo Gals, but how well do you know It's A Wonderful Life?